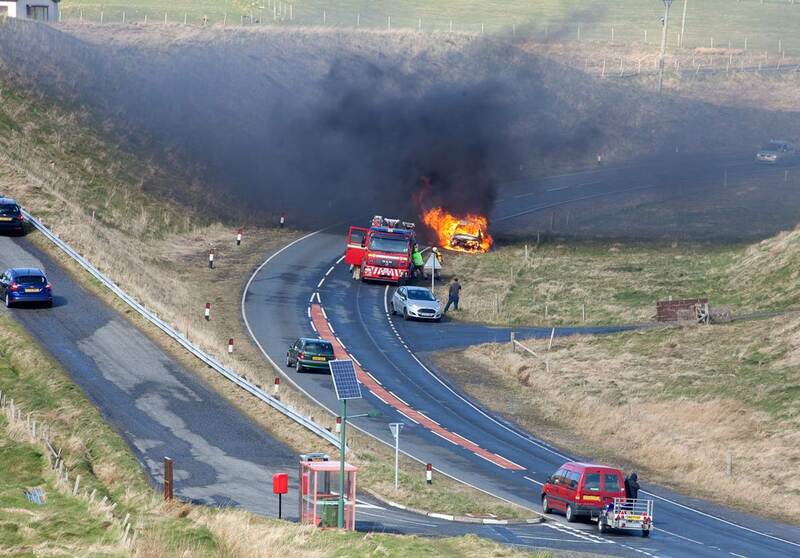 A car has been completely destroyed by fire on Shetland’s main A970 road this afternoon. Firefighters from Lerwick were called to the blaze near Quarff just after 3pm. On arrival they found the vehicle “well alight” and had to use two hose reel jets and two sets of breathing apparatus to put the fire out.